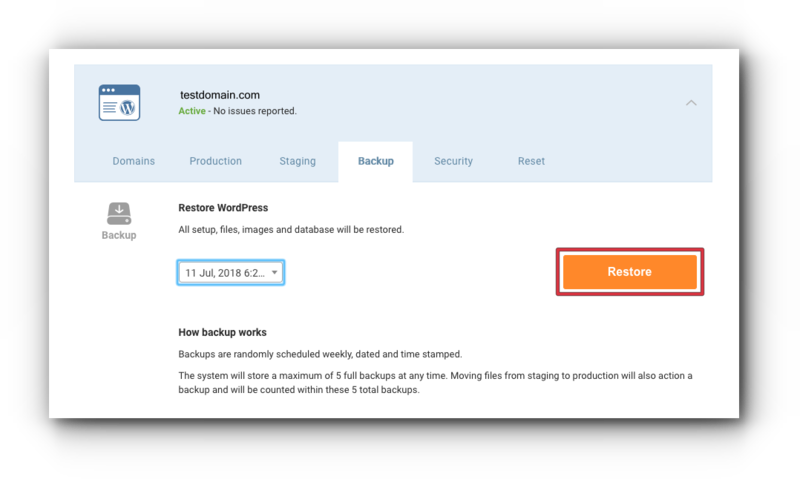 Backups are randomly scheduled weekly, dated and time stamped. 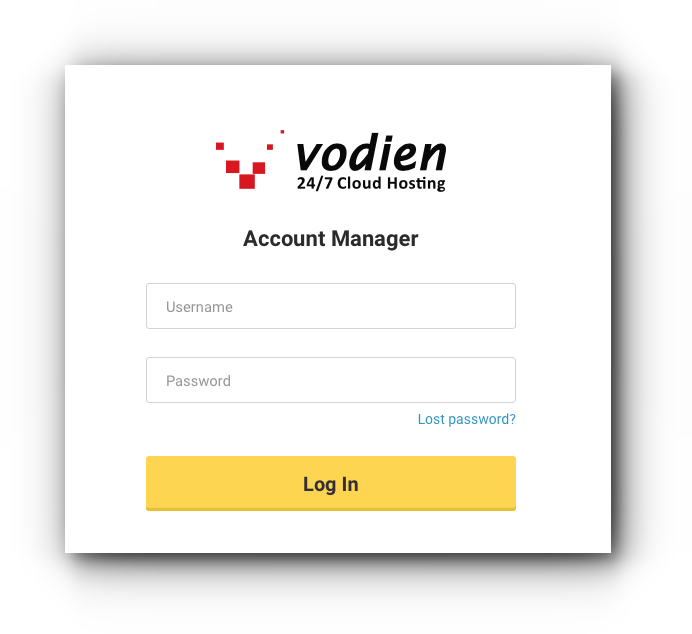 The system will store a maximum of 5 full backups at any time. 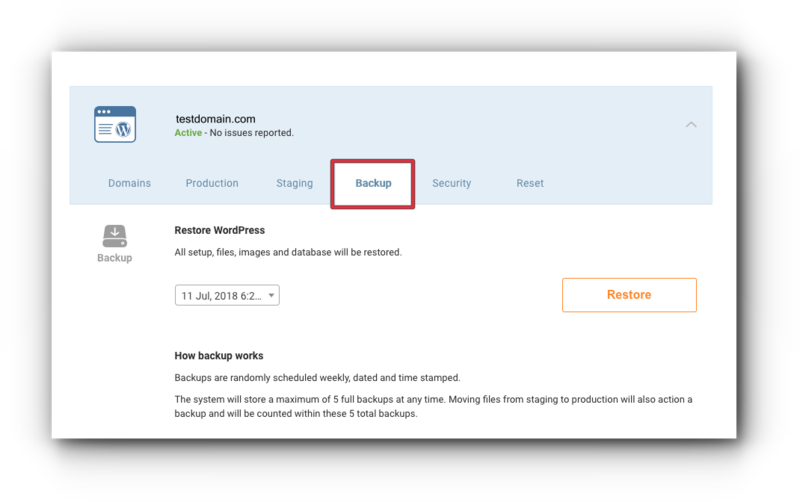 Moving files from staging to production will also action a backup and will be counted within these 5 total backups. 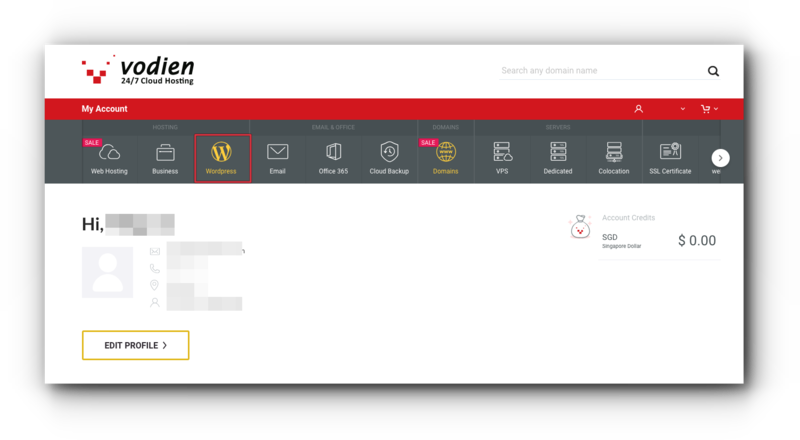 Follow the instructions below on how to restore your WordPress Site. Step 4. Click “Backup” tab. Step 5. 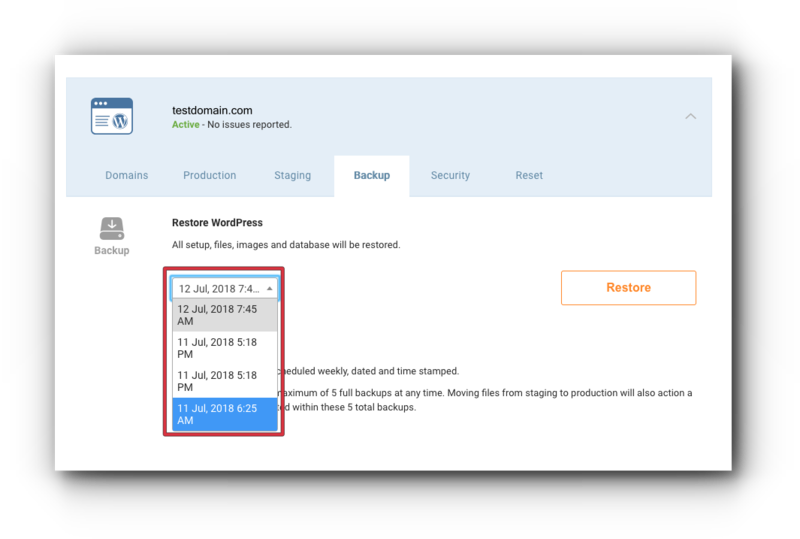 Select the date and time of the backup. Step 6. 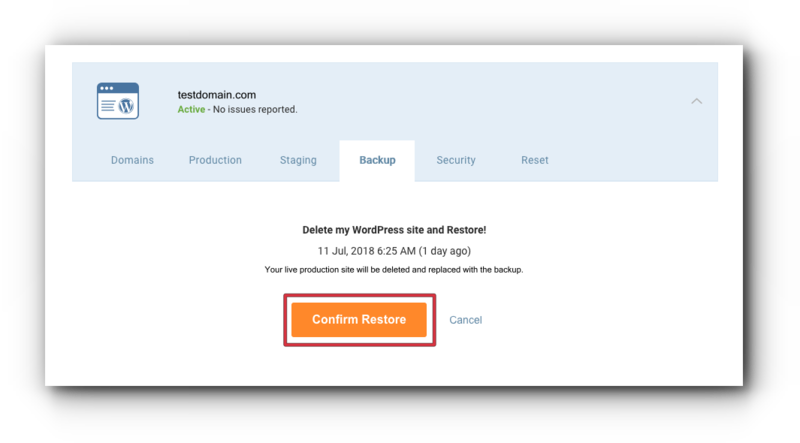 Click “Restore” button. 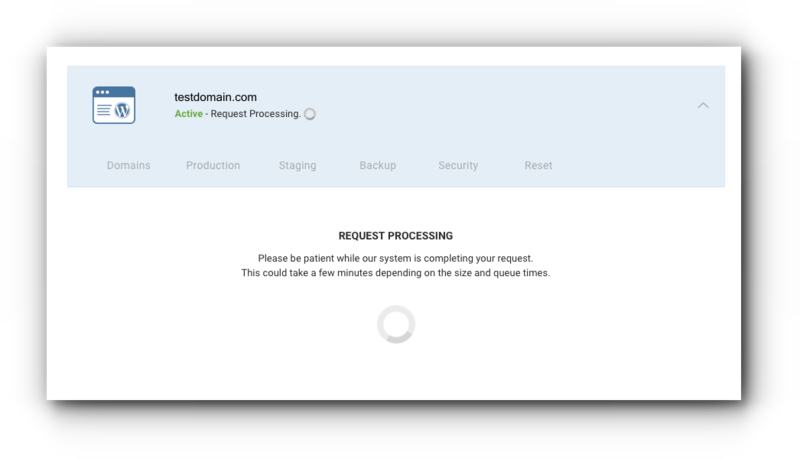 Step 6. Review the backup day and time. Step 7. 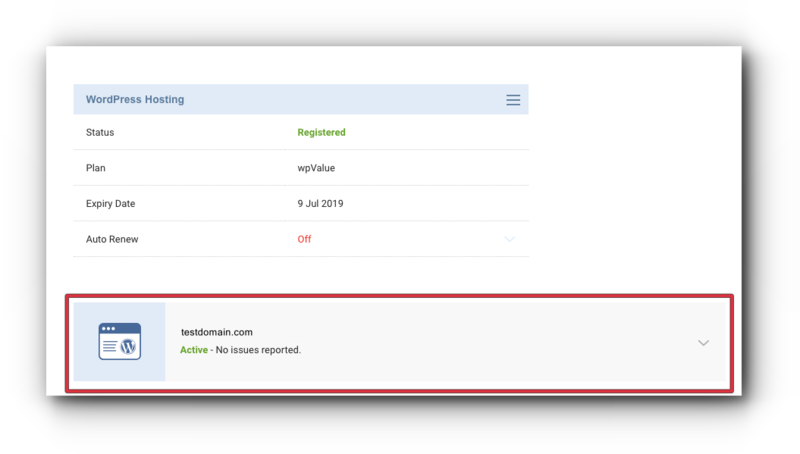 Click “Confirm Restore” button. 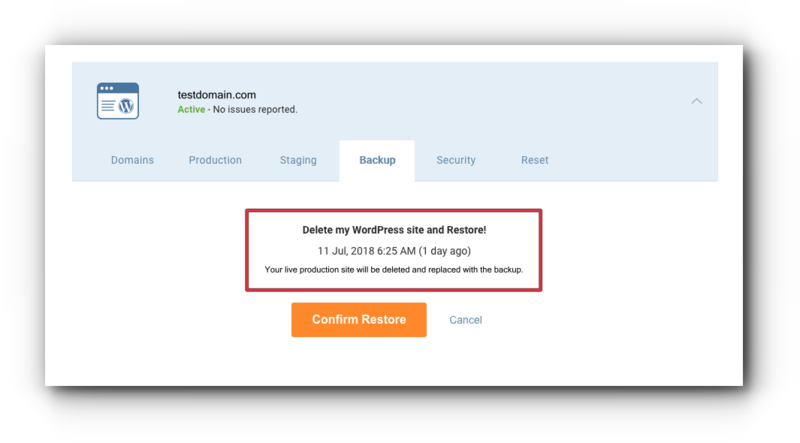 Once completed, your WordPress Site will be restored to the specific date and time you have selected.